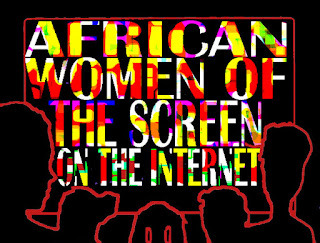 African Women and Film Spectatorship: An Early History by Beti Ellerson. Published 29 May 2009. In the 1967 text, “Le dit du cinéma africain” (The Tale of African Cinema), Amadou Hampâté Bâ recounts the extraordinary history of Mali’s early encounter with cinema revealing an equally fascinating story of an early instance of an African woman and cinematic spectatorship. He recalls the first film screening held in his native village Bandiagara, Mali in 1908--he was eight years old. The village ulemas met in order to prevent a film projection commanded by the local colonial governor. In their view the notion of a "film" as described by the governor, was a “satanic ghost ready to trick the true believer.” Kadidia Pâté, Amadou Hampâté Bâ's mother, though she did not attend the event, accepted the collective belief of the ulemas. Though still under the 1908 interdiction of the marabouts of Bandiagara, in 1934, to please her son she agreed to go to the cinema house. Her testimony is among the earliest reflections of an African woman regarding experiences of cinema. An astute cultural reader, Kadidia Pâté likens the movie screen, which mediates the projection of images to guide the viewer, to the divine messenger who intercedes between God and his believers. This is not to say that Kadidia Pâté views cinema as a divine intervention, but rather that at the time, in 1934 as an untrained spectator, she used a spiritual metaphor in her attempt to understand what she was experiencing, as she had been taught by the ulemas to condemn cinema, for its "satanic seduction." Scholarship on early cinema and spectatorship highlights the near-universal reaction of film viewers in the first decades of the invention of cinema. Whether in westernized environments--rural and urban, or in non-western societies, studies focused on how the viewer experienced the spectacularity of this new technology. While western writers tend to categorize non-westerners as backwards or holding a specific “native” worldview vis-à-vis technology and modernity, Stephen Bottomore gives a more balanced view when analyzing the reception of non-western spectators of early cinema: “these awed reactions on first seeing films may partly be due to sheer unfamiliarity, as much as to traditional beliefs in spirits and the like and the same is probably true of the introduction of other new technologies and media.” Similarly, westerners untrained in the new technology of film were equally awe-struck as well as overwhelmed by certain moving images. The mythical response to the Frères Lumière’s L’arrivée d’un train en gare de Ciotat is a classic example. 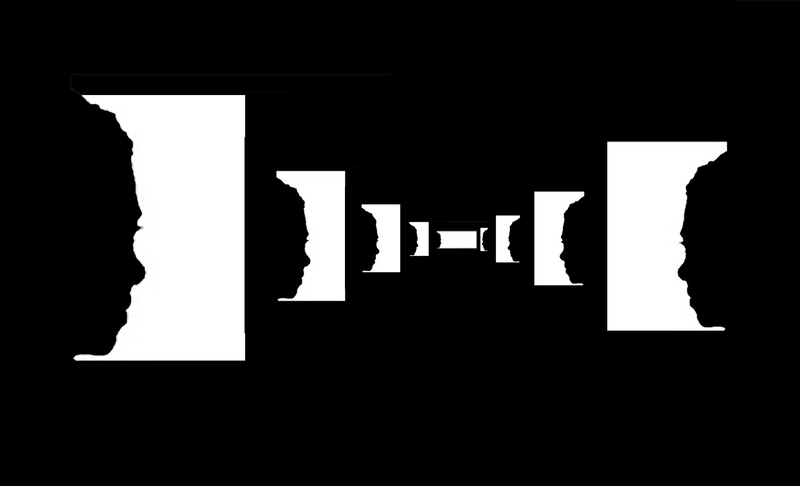 Bottomore’s analysis of these reactions underscores the similarities of viewers in general during their encounter with the unprecedented phenomenon of the moving image. On the other hand, Tom Gunning attempts to debunk the myth of the incredulous spectator by focusing on the evolution of visual technologies created for entertainment which have often had as their intent to trick the eye, to create illusion--and this notion may apply to most cultures. Thus, the cinema, wherever it was viewed for the first time, "was an encounter with modernity." While Amadou Hampâté Bâ relates similar instances of awe and suspicion among the film viewers of Bandiagara at the 1908 film screening, his story provides a rare testimony by an African, especially about early cinema reception. Moreover, his story elaborates both the power relations between French colonials and Africans even at the level of spectatorship, and the negotiation of culture at the intersection of religion and technology. I shall now come to my mother, Kadidia Pâté. She remained under the curse that was thrown in 1908 by the Ulemas of Bandiagara, on the machine that “spat shadows”. The most extraordinary characteristic that mother possessed, even more than her great beauty, was a remarkable intelligence, enhanced by a phenomenal memory. My mother, my wife Baya Diallo and I, finally went to the cinema. My mother followed the film from start to finish. She showed no exterior reaction. She remained impenetrable; it was as if she had seen or heard nothing at all. I was very disappointed, for I had expected, if not some fuss, at least a muted scream from her. But nothing, absolutely nothing at all. We returned home. My mother went to her room without having ruptured the silence. I was convinced that she had closed her eyes during the entire film in the same way that the distinguished residents of Bandiagara. And thus, she had honored her word by going with me to see the film, but not violating her conscience by refusing to gaze upon those sinful images. As for me, my venture had failed, my mother had once again shown that she could not be easily taken in. The next morning, before going to work, as usual, I went to say hello to my mother before leaving. She gave me her blessings as she does every morning. But she said nothing about my “machine that spits images”; which confirmed what I had surmised: that she had seen nothing while at the cinema. But after the prayer at sunset, I notice my mother’s favorite servant, Batoma Anta, carrying her prayer mat. She placed it next to mine; my mother came and sat down. She said to me: “Do you have additional prayers to say at Icha (the last prayer of the day)? Before I could say anything else, Mother said: I want you to talk to me about your “thingamajig” from yesterday evening. I could not begin to say how glad I felt when I realized that my mother had purposely kept silent. “Amadou, my son, yesterday evening I saw a wonderful machine. That man can make such a creation was not what gave me such a pleasant surprise. When someone accomplishes such a miracle, this does not surprise me at all; because for me, this remains in the realm of possibilities. Tierno Bokar, our master, has taught us that Allah has made of man his Representative on earth. This status was not given to man by God without entrusting in him a bit of divine power. For to achieve wonders is a result of God’s power. Therefore, it is not surprising that a being born of this bit of power—in this case, a human—accomplishes these wonders. Rather what would be surprising is if man did not create wonders. I admired this human creation of cinema, but I am not surprised. I want to thank you for taking me to the cinema. I ask God’s forgiveness. Yesterday I had evidence that the worse error that someone can make on this earth is to condemn before seeing and knowing. I felt how wrong it is to refuse to see, if nothing but to educate oneself. Tierno Bokar said: Wisdom desires to know all, which is preferable to knowing nothing. One must know the lie in order to separate it from the truth. One must know the good in order to distinguish it from the bad. In 1908, our well-intentioned holy men and esteemed notaries had declared that the “tiyatra” is a magical machine of diabolic invention. But for me rather, the cinema is a wonderful instructor, an eloquent master who amuses and instructs. The film screening yesterday, diabolic or not, permitted me to find an irrefutable proof to bring into being within myself, something that I had only accepted by absolute confidence in Tiero Bokar who taught it. Up until now, I had no faith that was actually born from a conviction inside myself. Yesterday evening your cinema gave me the private confidence that I had needed spiritually to build my faith on firm ideas and not through passive conformity. “Mother, what is this thing?” I asked. For a long time, our marabouts have had serious disagreements. They fiercely debate the question whether there must be a “mediator” between an individual and God. This has brought about serious discussions and has triggered many quarrels. This has propagated disputes in the mosques, right into the homes of close-knit families. In certain regions, there have been bloody clashes. Modern marabouts who have recently returned from the Orient support the view that people do not need someone else to interact and have contact with the divine or to speak to God. For these marabouts, each person may speak with God directly, without an intermediary. On the contrary, the old turban-wearing men of the village who are from the old school, uphold the view that a person will always need a mediator between himself and God. Tierno Bokar is situated between these two tendencies. He has taught that there are cases where we do need a mediator, a person who speaks to God in our behalf, but there are nonetheless cases where we may interact directly with God. Yesterday, I had perhaps material proof of the possibility of these two cases about which Tierno Bokar has spoken: the direct contact and contact through an intermediary. When we entered the cinema, before the film, you showed me a large white cloth on which a beam of light was be projected which would then become images that we could look at and recognize. You also showed a small house situated rather high above us. You told me that it was in this room that the machine that spat images was located. We were facing the large white cloth. 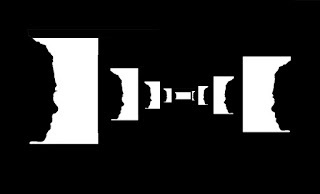 It was only when looking at it that we could clearly see, make out and understand the images that unfolded in front of us. We could see horses run, men walk, and villages emerge. We saw the thick vegetation in the rural area, the blooming countryside, the plane sharply fall away. All of this as if in a long dream, clear and precise, as if dreaming in a waking state. I found myself in the follow situation: First, when I watch the big white cloth, I see the images and hear the sound. I benefit from both the image and sound. But, on the other hand, when I only use my eyes, I only hear the sound. I am not able to stand the powerful light, it blinds me. At the same time that there is some good in it, there are also disadvantages. This is the end of my mother’s story. Excerpted from “Le dit du cinéma africain" (The Tale of African Cinema) by Amadou Hampâté Bâ (1900-1991). Introduction to "Films ethnographiques sur l'Afrique noire" (Ethnographic Films on Black Africa), UNESCO Catalogue, 1967 (Translated from the French by Beti Ellerson). READ ENGLISH TRANSLATION IN ITS ENTIRETY. Name of cinema in Mali, an altered version of the word theatre. 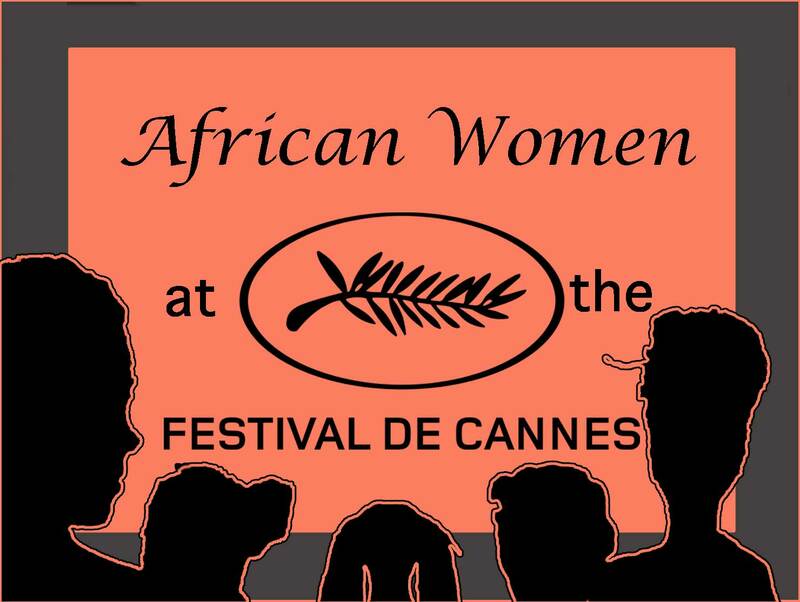 As the excitement around the Cannes Film Festival reaches its peak, what a great occasion to highlight the history of African women in cinema at the festival. In his report on the African presence at Cannes, French critic Michel Amarger notes the visibility of Africa at the very first Cannes Festival in 1946 with representation from Egypt, for the film Daria by Mohamed Karim. Following African independences in the 1960s an African cinema by Africans emerged--reflected at Cannes with a spurt of films during that decade, including: Lamb (Senegalese Wrestling--National Sport of Senegal) by Paulin Viera of Senegal in the Official Selection in 1964. In 1966, also from Senegal, La Noire de…by Ousmane Sembene was selected in the Semaine de la Critique /International Critics’ Week, a parallel section of the Festival created in 1962: “Historically, International Critics’ Week is the first “parallel” section of the Cannes Film Festival. It has steadfastly remained true to its tradition of discovering new talents. Critics’ Week was conceived by the French Union of Film Critics…to showcase first and second feature films by directors from all over the world.” In 1969, also in La Semaine de la Critique were Cabascabo by Oumarou Ganda of Niger and La Voie by Algerian Mohamed Slim Ryad. Women followed in the 1970s with the selection of Monangambee in 1971 by Sarah Maldoror for the country Angola in the Quinzaine de Realisateur/Directors’ Fortnight. This parallel section created in 1968, “is distinguished by the independent judgment displayed in the choice of films, the “cinéphile” standards and the accessibility to non-professional audiences at the festival. In fact, the Directors’ Fortnight is the non-competitive program at Cannes that is open to the general public.” In 1976, the film Peasant Letter by Senegalese Safi Faye, was screened; and in 1979, her film Fad’jal was selected in A Certain Regard, a part of the Official Selection introduced in 1978. 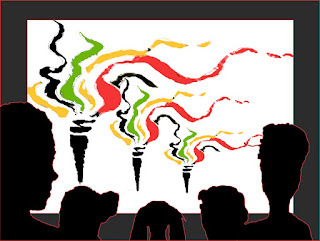 At the 40th Cannes Film Festival in 1987, the “Panorama du Cinéma Sud-Africain Independant” was a first-time programming of South African independent films, featuring anti-apartheid themes by progressive South Africans. Films by women included in this category were: Last Supper at Hortsley Street by Lindy Wilson and Re tla bona, (We will see) and Sharpevelle Spirit by Elaine Proctor. Fast forward to 1994, Les Silences du palais by Moufida Tlatli of Tunisia is selected in the Quinzaine des réalisateurs. In 1996, Senegalese Safi Faye returns on the Croisette with Mossane in Un Certain Regard, while British filmmaker Ingrid Sinclair, who also has Zimbabwean citizenship, presents Flame in the Quinzaine des réalisateurs. The first decade of the 2000s continues to show an African women’s presence at Cannes. In 2002 Rachida by Algerian Yamina Bachir-Chouikh is selected in Un Certain Regard. In 2005, the film Sisters in Law, co-directed by British filmmaker Kim Longinotto and Cameroonian Florence Ayisi, wins the Prix Art & Essai (CICAE) in the Quinzaine des réalisateurs. Also in 2005, Rahmatou Keïta of Niger presents her film Al’leessi…an African Actress, selected in the Cannes Classics. A sidebar of the festival, the Cannes Classics “celebrates the heritage of film, aiming to highlight works of the past, presented with brand new or restored prints.” The selection of Al’leesi is appropriate as it highlights the legacy of early filmmaking in Niger, which had been all but forgotten. 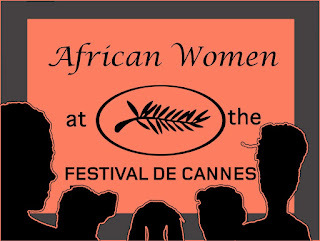 At the 62nd Cannes Film Festival in 2009, three women from Africa are invited at the Pavillon des Cinemas du Monde: Tunisian Nadia el Fani, Marie Ka of Senegal and Algerian Djamila Sahraoui—to discuss their films. Nadia el Fani is invited to present Ouled Lenine at the Marché du Film; Didi and Gigi by Marie Ka is showing in the Short Films Corner; and Djamila Sahraoui discusses Ouardia Once Had Sons, a project under development. As part of the Cannes Classics 2011, Sugar Cane Alley (1983) was screened as a special tribute to Martinican filmmaker Euzhan Palcy. In addition, Chika Anadu from Nigeria was among the twelve young directors selected to participate in this year's Festival Residency. She attended the 21st session from October 2010 to February 2011. In 2014, several films by women are included in the Short Film Corner: Gabonese Samantha Biffot's 9-minute fantasy drama Return to the Source, Jìn'naariyâ ! by Rahmatou Keïta of Niger and Peau de Colle by Tunisian director Kaouther Ben Hénia, whose film is supported by the Fonds Francophone. The filmmaker is also in the prestigious ACID selection, with her first feature film Le Challat de Tunis, which also benefits from the support of the Francophone funding. In addition, four women are among the 5 young Ethiopian filmmakers selected to attend Cannes : Adanech Admasu, Hiwot Admasu, Hermon Hailay, Yamrot Nigussie. “From Addis To Cannes” filmmakers were chosen from a significant group of applicants from Ethiopia’s promising film community through a targeted search focusing on emerging and mid-career filmmakers looking to further their careers and create international partnerships. In addition, Senegalese Angèle Diabang is attendance at the Fabrique des cinémas du monde with her film project "So long a letter". In 2015, Malian singer and musician Rokia Traoré will join co-presidents Joel and Ethan Coen on the 68th Cannes festival jury, along with the other members Canadian filmmaker Xavier Dolan, French actress Sophie Marceau, American-British actress Sienna Miller, Spanish actress Rossy de Palma and Mexican filmmaker Guillermo del Toro. In 2016 Houda Benyamina’s directorial debut was awarded the Caméra d'Or, an award of the Cannes Film Festival for the best first feature film presented in one of the event’s selections. Also in 2016, Tapiwa Chipfupa of Zimbabwe and Angolan Pocas Pascoal are in attendance as part of La Fabrique des Cinémas du Monde. Tapiwa Chipfupa presented her film project “The Other Half of the African Sky”, while Pocas Pascoal discussed her film project “Girlie”, (2nd feature film). La Fabrique des Cinémas du Monde, a professional programme helping talented young directors from emerging countries increase their international exposure. Each year this programme, developed by the Institut français, in partnership with France Médias Monde – RFI, France 24, Monte Carlo Doualiya- with the support of The International Organization of La Francophonie, invites ten directors working on their first or second feature films to attend the Festival de Cannes along with their producers. In 2017, Tunisian Kaouther Ben Hania's Beauty and the Dogs is selected in Un Certain Regard as well as Zambian Rungano Nyoni with I am not a Witch which she developed at the Cinéfondation du Festival de Cannes in 2013. Moreover, South African Twiggy Matiwana's The Bicycle Man is including in the Festival Corner. In 2018, Rafiki by Wanuri Kahiu and Sofia by Franco-Moroccan Meryem Benm'Barek are part of the Official selection of Un certain regard. In addition, Safi Faye returned to Cannes with Fad,Jal, restored by the CNC, presented at Cannes Classics. The film was first screened at Cannes in 1979 at Un Certain Regard. The first generation of African cinema has passed the torch to a second and third generation of filmmakers. A cinema born in the 1950s and 60s, known for its postcolonial themes, directly confronted the oppressive nature and contradictions of colonialism. Among this second and third generation are women who have drawn important lessons from their elders. Some of these women take the torch from their mothers, fathers and uncles, others have relit or are keeping the torch burning to shine light on the accomplishments of those who have come before them. Anne-Laure Folly Reimann of Togo pays homage to the life and works of the matriarch of African cinema, Sarah Maldoror. Guadeloupian of African descent, she has had a long presence in filmmaking in Africa. Having studied cinema in the Soviet Union in the early 1960s, after a short stay in Morocco in 1963, she went to Algeria to work as Gillo Pontecorvo’s assistant for the production of the classic film, The Battle of Algiers. Her debut film Monangambee, was selected at the 1971 Cannes Film Festival under the Quinzaine des réalisateurs/Directors' Fortnight representing Angola. In 1972 she made Sambizanga, considered her masterpiece; a film about a woman's experience during the Angolan liberation struggle. In her documentary, Sarah Maldoror ou la nostalgie de l'utopie, Folly Reimann pays tribute to Maldoror, having followed the path that she forged. Some twenty-five years after the release of the film Sambizanga, she too highlights women's experiences of war in Angola, in the film Les Oubliées (1996). Gyasiwa Ansah of Ghana follows in the footsteps of her father, veteran filmmaker Kwaw Ansah. She grew up in cinema often present on her father's film shoots. As she grew older she began to take on duties on the set and finally decided to go to film school. She continues to work with her father at his television production company, TV Africa. French-Congolese Claude Haffner, takes the torch from her late father, Pierre Haffner, an important French voice in African cinema criticism. Her 2001 DEA (Master's) thesis, Le documentaire africain, un remède éventuel aux maux dont souffre le cinéma africain? loosely translates as "The African Documentary as Possible Remedy to the Ills of African Cinema." In addition, she has taken on the role of filmmaker. Her documentary, D'une fleur double et de quatre mille d'autres (2005), a tribute to her father, is situated at the intersection of her double passion--criticism and filmmaking--focusing on many of the issues that he confronted in his work on African cinema. Her autobiographical documentary, Footprints of my Other 2012), is about her place “in between”, Africa and Europe, as she searches for her Congolese roots. Rahmatou Keïta of Niger rekindles the flame of a once fledgling film industry. The vibrant works of the prolific filmmakers of Niger beginning in the mid-1960s are a mere footnote in African cinema history. Weaving the story of pioneer actress Zalik Souley, Keïta relates a parallel story, the history of the early cinema of Niger. Her purpose for making the film Al’leessi...An African Actress (2004), was to celebrate the elders of Niger cinema and elevate them to their rightful place as cinematic pioneers. Mati Diop, born within an artistic milieu--her mother is a photographer, her father is musician Wasis Diop, and her late uncle, Djibril Diop Mambety (1945-1998), a giant of African Cinema--works quite naturally within the domain of sound and image. Her evolution into cinema was a result of her interest in the image rather than a direct influence of her uncle, Djibril; though she gradually understood that his legacy is an important force in her work. Her film 1000 Soleils/1000 Suns (one may recall La petite vendeuse de Soleil/The Little Girl who Sold the Sun, Mambety's last film released posthumously in 1999), is dedicated to him--tracing the incredible journey of the cult film, Touki Bouki, his masterpiece. The film made in 1973, nine years before Mati's birth, is a means to better understand her uncle. In her view, the film is fundamentally about him, in a very profound way. When making her first film Last Night, she was not yet aware of the cinematic inheritance of Djibril. She has recently embraced this bond which has increasingly imposed itself as she has become more confident in her work. But for Mati this inheritance only becomes important when she has her own work to show for it. Ghanaian filmmaker Anita Afonu, passionate about the preservation of Ghana's cinematic history, meticulously researched the evolution of Ghanaian cinema, documenting it in the film Perished Diamonds. Malika Franklin co-directed and co-edited Woman to Woman (2013) with her mother, Véronique N. Doumbé. Thus, accepting the torch passed on from the generation before, means that one must assume the task of continuing the work forged by the elders. Notably, Africultures, a French-based website which provides a plethora of articles, biographies, film synopsis and analyses. While most of the sources are in French, there are some articles in English. For those who can read French as well, both language sources are listed. Sheila Petty. “Images of Women and Oppression in ‘Francophone’ West African Film.” Canadian Journal of Communication, vol. 14, no. 3, 1989. Françoise Pfaff . Twenty-five Black African Filmmakers. Westport: Greenwood Press, 1988. Chapters on Safi Faye and Sarah Maldoror, including a filmography and comprehensive bibliography. Click on links above for reprinted chapters. Françoise Pfaff. " Three Faces of Africa: Women in Xala." Jump Cut, July 1982, pp. 27-31. Scholarly works from university theses include Zimbabwean Chido Matewa’s 2002, PhD dissertation from University of Manchester entitled, “Case Study of Africa Women Filmmakers Trust in Media and the Empowerment of Communities for Social Change” and Kenyan Wanjiku Beatrice Mukora’s 1999 Master’s thesis entitled “Disrupting Binary Divisions: Representation of Identity in Saikati and Battle of the Sacred Tree” from McGill University in Montreal. Michael Dembrow, former English professor at Portland Community College was also a member of the committee of the Annual Cascade Festival of African Films, located in Portland, Oregon, and wrote the film notes. 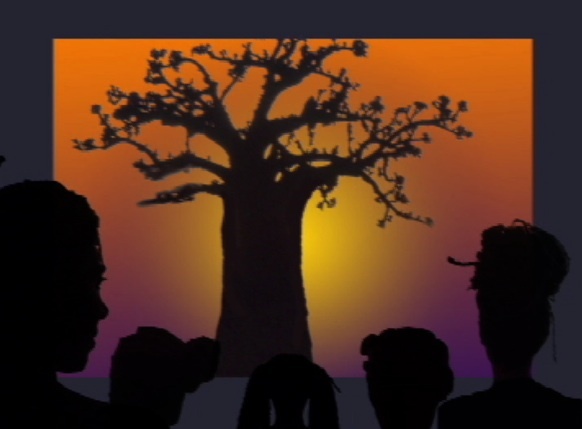 Among this very useful resource were films notes for works by and about African women--that have been showcased in the Festival, below is a selection. Women were visible both on the covers and in the pages of the revue. 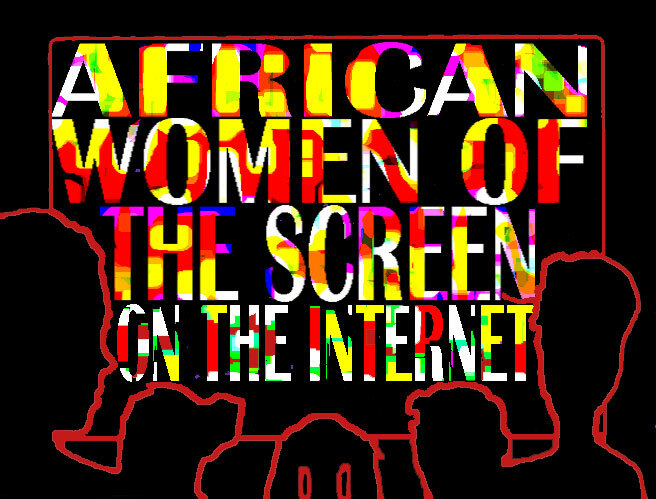 Following are citations of and links to articles, profiles and tidbits highlighting African women in all areas of cinema: filmmakers, editors, actors, producers, make-up artists, and other positions.